Accurate and reliable diagnostic tests are the foundation of modern medicine and critical to the future of patient-centered care. Historically, the FDA has exerted little oversight of laboratory-developed tests (LDTs)—that is, no premarket review or quality system requirements—but this is changing. Due to advances in technology, LDTs have grown exponentially in number, complexity, and risk, from simple tests performed by local labs to diagnose rare diseases or meet the needs of the local patient population to intricate genetic tests widely used to screen for common high-risk diseases like cancer and heart disease. Unlike traditional LDTs, modern LDTs are manufactured in large quantities by big corporations—often with components not legally marketed for clinical use—and sold nationwide. 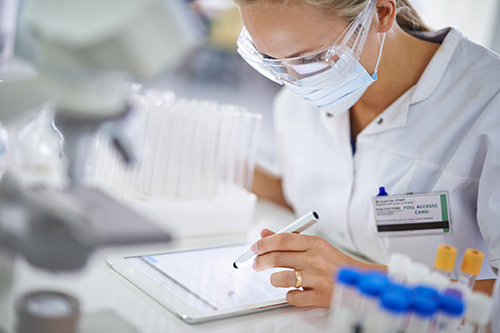 The shift in the complexity and use of LDTs prompted the U.S. FDA to release the draft guidance Framework for Oversight of Laboratory Developed Tests (LDTs), expected to be finalized sometime this year. The draft has sparked controversy between the FDA and laboratory industry groups, most of which advocate building on the existing CLIA framework. But how can you build on the existing framework when it does not allow for robust, risk-based design, manufacturing or supplier controls? You cannot. You need good process, and it has to be GxP.